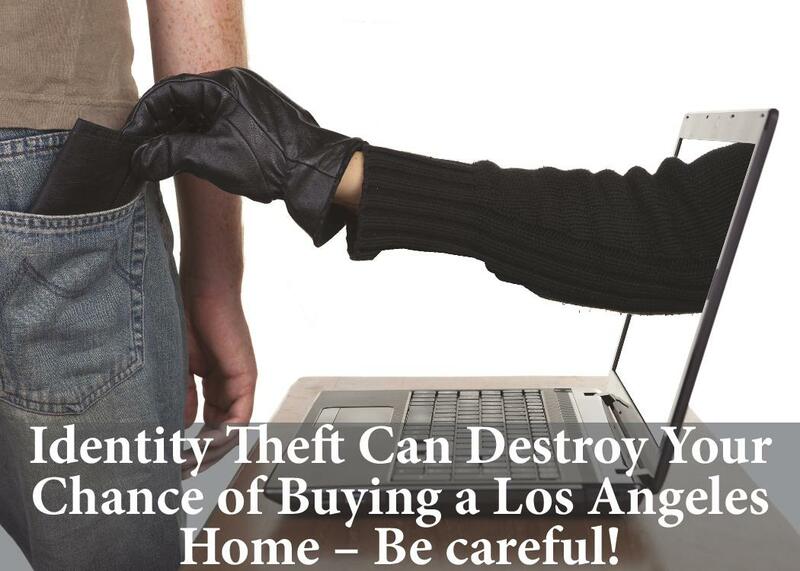 Identity Theft Can Destroy Your Chance of Buying a Los Angeles Home – Be careful! Identity theft can wreak havoc with your credit scores – which will at the least cause you to be offered a higher interest rate and at the worst cause you to become completely ineligible to obtain a mortgage loan. No one can be completely safe – Not unless you receive your income only in cash; make purchases only in cash; have no bank or investment accounts; and never visit a doctor, get a driver’s license, or do anything else that requires sharing your social security number. In other words, you’d have to go back in time a hundred years or so and become a mountain man. That said, there are a few safety precautions you can take. The Internet is now a major source of information for identity theft. All they have to do is hack into a company’s records to obtain your name, address, social security number, credit card numbers – and your password. Experts now recommend that when shopping on line you use a pre-paid credit card, or make it a point to use only one credit account for all transactions, and then monitor it regularly. Don’t use your bank debit card! Use a different password on every account. I know – it’s easiest to use the same password for everything, but avoid the temptation. And absolutely never use the same password on credit card accounts that you use to access your bank account. Hackers know that we’re a bit lazy – and that the likelihood of us using the same password across the board is high. Thus – once they’ve got it for one account, they’ll try it on every account. This rule also applies to your email – use a completely different password. A hacker who has access to your email can learn all sorts of wonderful things – wonderful in the sense that they’ll help him or her drain your accounts, apply for new credit in your name, or even use your name and information to rent a house or obtain a new job. Use numbers corresponding to family birthdays, anniversaries, etc.